Oral-B are one of if not the leading brand within the consumer dental space, but what is their story? Where did they originate from? 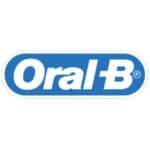 How did the become so big and what does Oral-B stand for? Oral-B began back in late 1930’s in California, America. 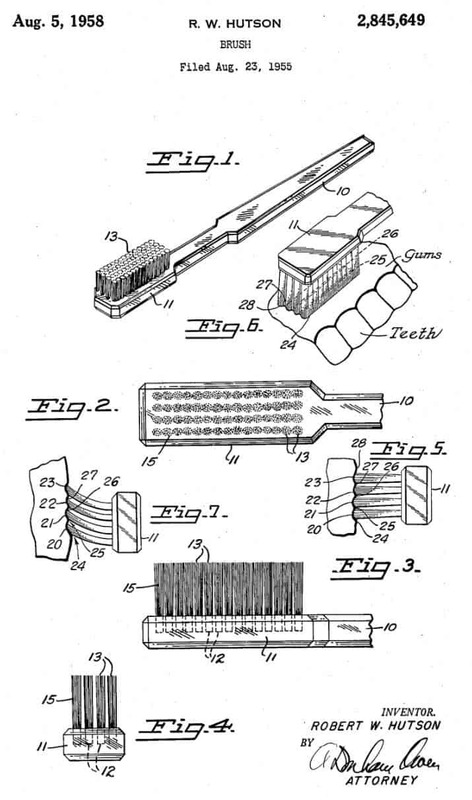 In the year of 1938 Henry Sargol invented a soft nylon bristled toothbrush with the name Oral-B (13). But it was not until January 13th 1950 that Oral-B really became a reality. It was then, that the more recognised founder of Oral-B, periodontist, Dr. Robert W. Hutson (who lived from 1920–2001)(2) filed with the US Patent office designs for the “Huston Toothbrush”. This patent was later granted on October 24th 1950 with patent number 160604 (1)(3). 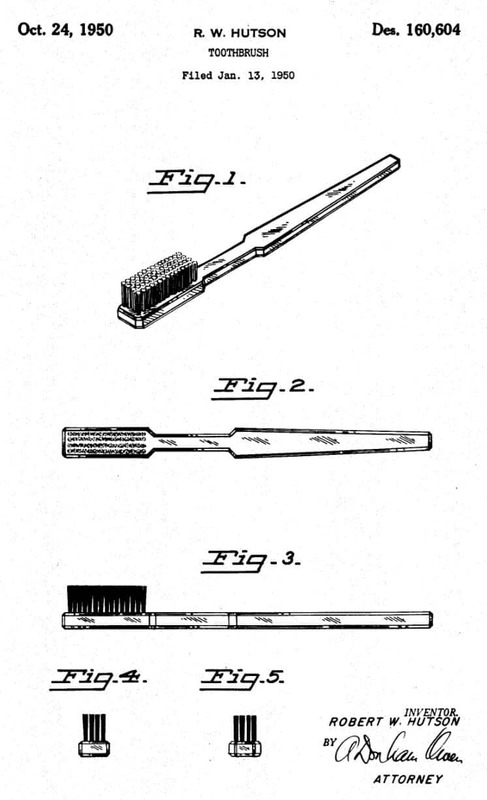 Fast forward to August 1958 and he was granted a new patent (number 2845649) for a “mouthbrush” that had a similar design to the earlier model but with numerous, fine, soft, flat-ended nylon bristles (4). During the filling process Huston claimed that this brush was less abrasive to tooth enamel and better for massaging the gums and more effective at picking up tooth powder than other brushes available at the time. The exact time when the Oral-B name came about is unclear, but it is believed that the first product was known as the ‘Oral-B 60’ because it had 60 tufts of bristles. Other models were made with differing numbers of tufts with corresponding names. Within 10 years of of creating that first patented brush, it is believed that the company were selling over 5 million brushes a year thanks to great design but also other professional colleagues across the country touting Hustons product (2). Huston sold Oral-B in the 1960’s but continued to work at his practice as a periodontist in San Jose. It is understood that this sale was to Martin H Smith Co, which then incorporated as Cooper Tinsley Laboratories in 1961, to change its name to Cooper Labortories in 1967 (5). During this time, the company was developed radically y the Palo Alto, California firm branching out into other dental products including fluorides and flosses rather than just toothbrushes. It is believed that in 1969 Oral-B brushes made their way on board the Apollo 11 mission to the moon (1). In 1984 the Gillette group acquired Oral-B, giving money and pace to grow the brand and the innovations. $188.5 million in cash was paid, which was at the time thought to be fifteen times the net earnings of the business and it’s assets (6)(7). Braun who were another brand within the Gillette group of companies began using the Oral-B name for electric toothbrushes, the first electric brushes to be made by the company, although it is believed in 1978 there was a ‘D1’ model (13). In 1991 the company won an Edison Award for the indicator bristles design that is now common on toothbrush heads (1). 1993 saw the introduction of the Oral-B Advantage toothbrush with what was at the time a revolutionary brush with a multi level trim pattern to the bristles, to offer better and more effective cleaning (1). In 1998 the CrossAction toothbrush which had angled bristles and is today the primary head shipped with electric brushes was introduced (1). In 2003 the Oral-B Stages line is introduced making it the first time children’s toothbrushes are designed for the four different stages of a child’s development (1). Since 2005 Oral-B has been part of the Procter and Gamble company after Gillette merged with them (8). Today, the Oral-B brand is used for more than just toothbrushes, toothpastes, flosses, oral irrigators and interdental products to name just a few and is one of the leading brands within the dental care industry. With the history of Oral-B explained, one major question still remains. What does Oral-B stand for? It is understood that Oral-B is short for ‘Oral Brush’. Essentially this is what a toothbrush is, an oral brush, but that’s a bit long so Oral-B sounded better. Found this article interesting? 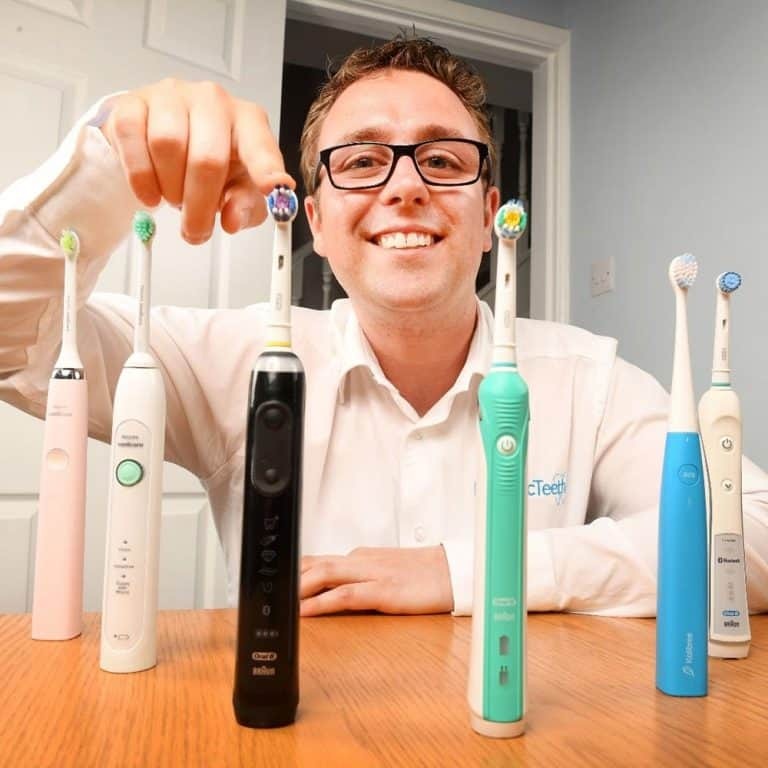 Maybe you would like to read about the history of the electric toothbrush?